Another 4th of July is just around the corner! The 4th is a huge holiday for automobile travel in the US. The great news is that gas prices are lower than last year, and even lower than the beginning of the year. Great for consumers as this is typically the time that prices spike. The world has changed considerably since last year’s 4th of July. It seems like autonomous cars are a lot closer to reality. Will we really see this as soon as 5 to 10 years? What about how we pay for gas? Through an app that is now available in many new cars? How will the c-store industry react to all of these changes? Like we are seeing in traditional retail, there will be winners and losers when game changers like Amazon disrupt the whole landscape. The transition in our industry has been dramatic. For c-stores to be competitive, they need to offer a great in-store experience with fresh, relevant choices for consumers. They also need to be competitive on price, offer great service, and improve how they market to their customers. And then we have the political environment. If you told me last July 4th that Donald Trump would be our next President, I would have laughed. I guess we need to learn to be ready for the unexpected, not just in business. I hope, as citizens of this great country, that we return to a more respectful and civil environment. It’s out of control nasty. So, what about c-store loyalty marketing? Well, here at Tecmark we see all digital as the dominant way to effectively market to customers. All digital means no cards for members, easy enrollment in programs through Text to Enroll and app downloading. It also allows location based marketing so that offers to customers are real, relevant, and timely. It’s about connecting businesses to their customers and driving them to buy more in store. Tecmark will be introducing an innovative new mobile app for our customers later this year. See it at the NACS Show when we roll it out to the market! 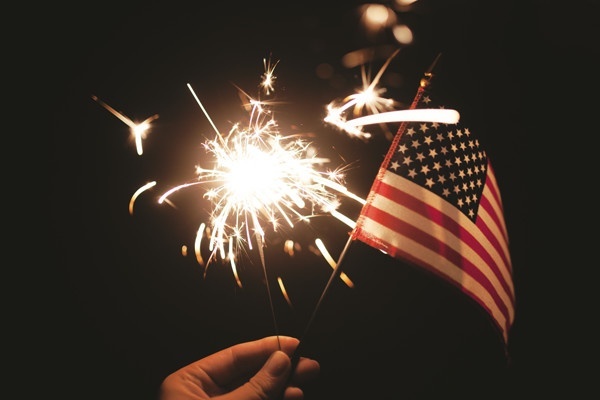 Have a great 4th with family and friends! Yes, don’t forget to stop at your favorite c-store to stock up on all your holiday needs.